Fantasy Premier League is back. The official FIFA Forum League will utilise the classic format, though you may want to explore the H2H and Draft modes. As far as I know, there have been no major changes from last season, but I have provided a short FAQ below as well as a link to the full list of rules. Best of luck! How can I join the (private) league? First of all you must have entered a team in the game. Once you have a team, make sure that you have the correct league code (54014-423673) and that you are joining an existing league in the correct format (classic). I have renewed the Official FIFA Forum League, so those of you who partook in the league last season will automatically be added to this year's league. 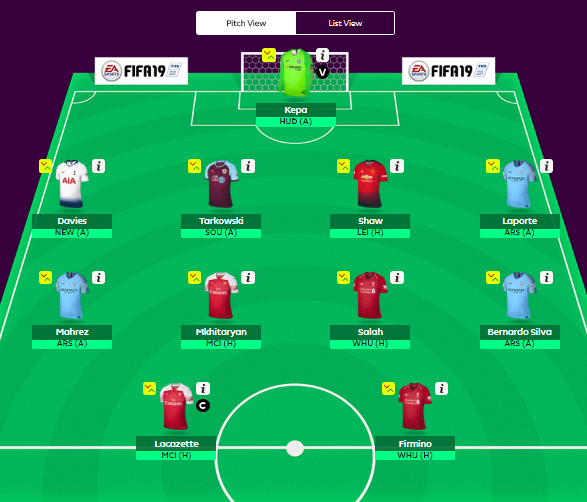 During the season, your fantasy football players will be allocated points based on their performance in the Premier League only. 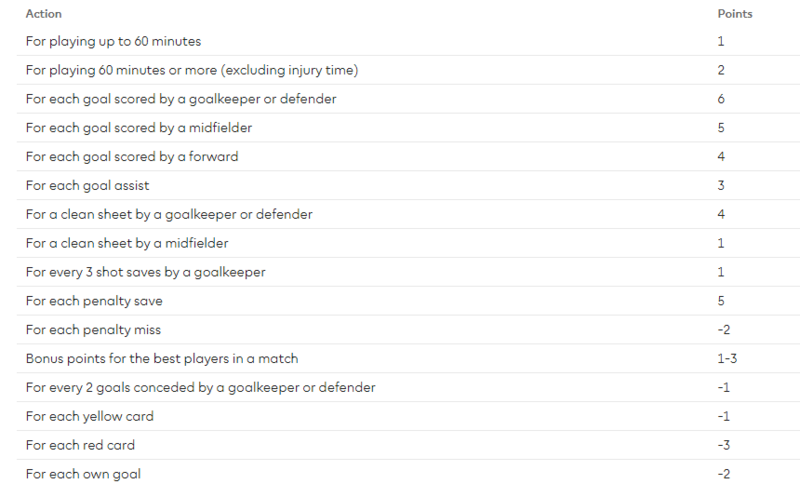 Please refer to the official scoring section (via rules) for specifics on assists, rebounds and bonus points. Chips can be used to potentially enhance your team's performance during the season. Only one chip can be played in a single Gameweek. The Bench Boost. Free Hit and Triple Captain chips can each be used once a season and are played when saving your team on the my team page. They can be cancelled at anytime before the Gameweek deadline. The Wildcard chip can be used twice a season. The first wilcard will be available from the start of the season until 30 Dec 14:00. The second wildcard will be available after this date in readiness for the January transfer window opening and remain available until the end of the season. 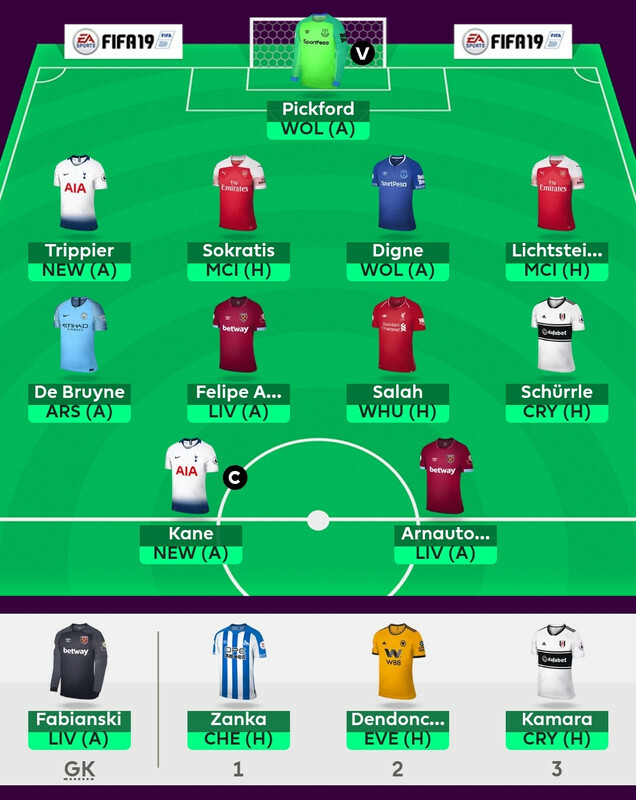 The Wildcard chip is played when confirming transfers that cost points and can't be cancelled once played. Where can I find a list of all the rules? You can find the list of all the rules here. Over the years @Sokker14 and @Kaede have also hosted the thread/competition. You can view the 2017/18 thread here, the 2016/17 thread here and the 2015/16 thread here. 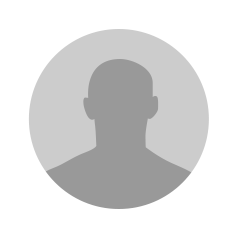 Please note that if you are unable to login using your account from last season, it may be due to the "incorrect password bug". Reset your password in order to fix this (it can actually be the same password). My team name keeps changing from “Adam Johnson’s U11” to “CHANGE NAME”. Anyone reckon that my name is breaking any rules? I thought that my account would just be deleted if it did. EDIT: changed my name to “Pjanic! At The Disco” after giving heavy consideration to “Dirty Sánchez”. My team name keeps changing from “Adam Johnson’s U11” to “CHANGE NAME”. Names like that really aren't funny anymore. Curious to know who my victims opponents are this year. Anybody care to share? Think you gotta have Salah in your team tbh. Massive disadvantage if not. You don't need him. It'll just be harder to transfer him in than transferring him out. With over 50% ownership Salah seems like a must. Assuming you have him, if he delivers you go up with 50% percent of other players. If he fails, you go down with 50% of players. Plus, everyone and their nan will captain him now, so willingly or not, he seems like a must. Might change 1 or 2. Unsure yet. Definitely make changes. 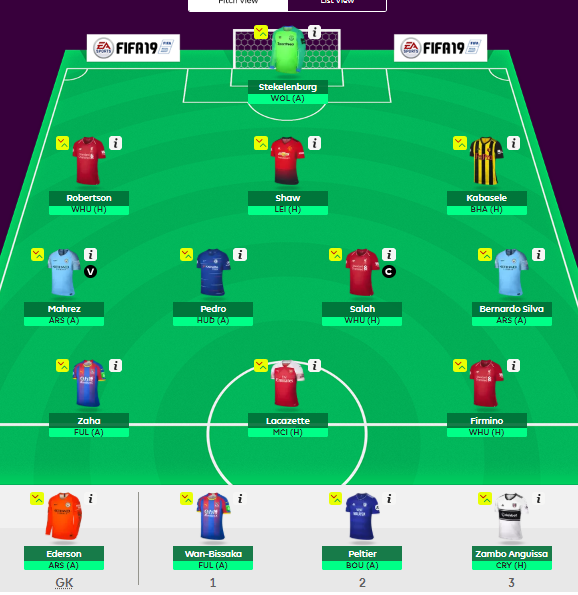 Handful of your players won’t even start week 1.
was actually surprised with the quality of the squad i was able to put together this time around. 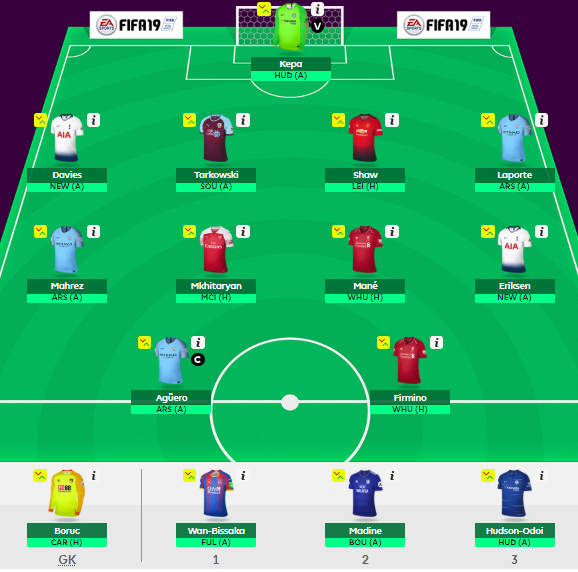 Kane likely won’t start GW1 and Son may only play GW1 (Asian Games). actually yeah, swapped kane+son for KDB and Aguero.. that seems a bargain in comparison. Definitely a possibility. I believe the English players came back early though (not sure when KDB returned). Also, FFScout and FF247 both don’t have him in their predicted lineups. 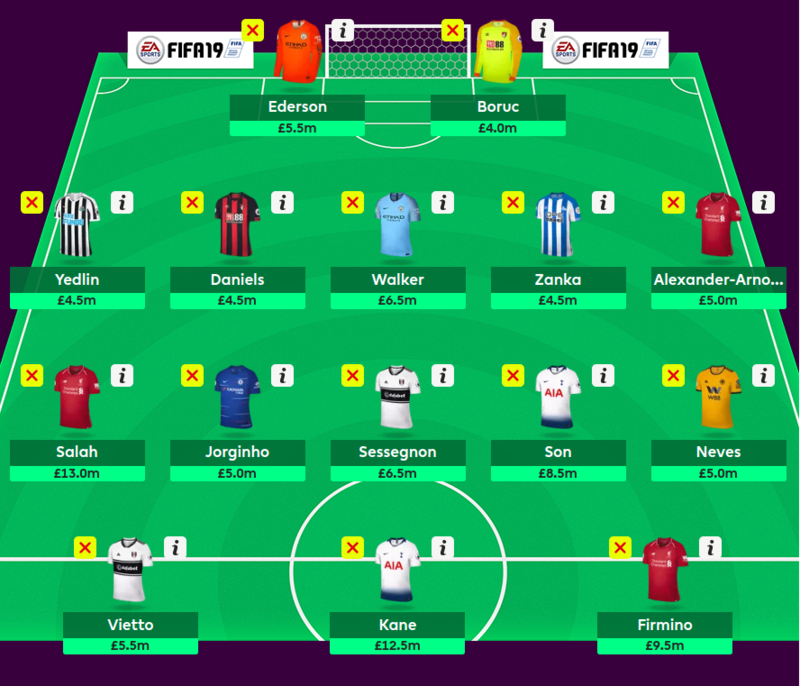 well at worst my new 3rd striker rondon will get subbed in for kdb (automatically for player who doesn't start right?) worth the risk in my opinion. it being a "big game" against arsenal as season opener might tempt Pep to start him after all. i'll have to bookmark these sites you mentioned. Yes. That is how the substitutions work. Both of those sites are good. I prefer FFScout and they are usually pretty reliable with their predicted lineups. Of course they aren’t always 100% correct though, so there is always a possibility that KDB does actually start. Dendonker won't get many points. okay don't think i'll change it anymore. have 0.5 spare, was a toss up between pedro or lucas for the last midfield slot. still could change between now and the deadline. so hard to call right now, just need one or two weeks so i can get a feel of who will play and who won't. Wondering who will be Fulham's no.1 striker, now that Vietto loan went through? I have Mitrovic in my team, probably need to check for alternatives. Will probably start with Mitro.